Are you tired of all those plain cupcake holders? 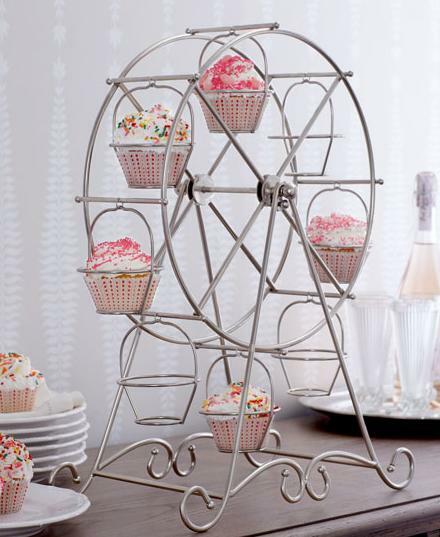 Spotted this Ferris Wheel Cupcake Holder at Horchow. Is it too early to write a letter to Santa?! This looks like not only fun, but delicious, too! Just discovered your to blogs & love them !!!! It's not too early at all! That is the cutest thing I've seen in a long time.